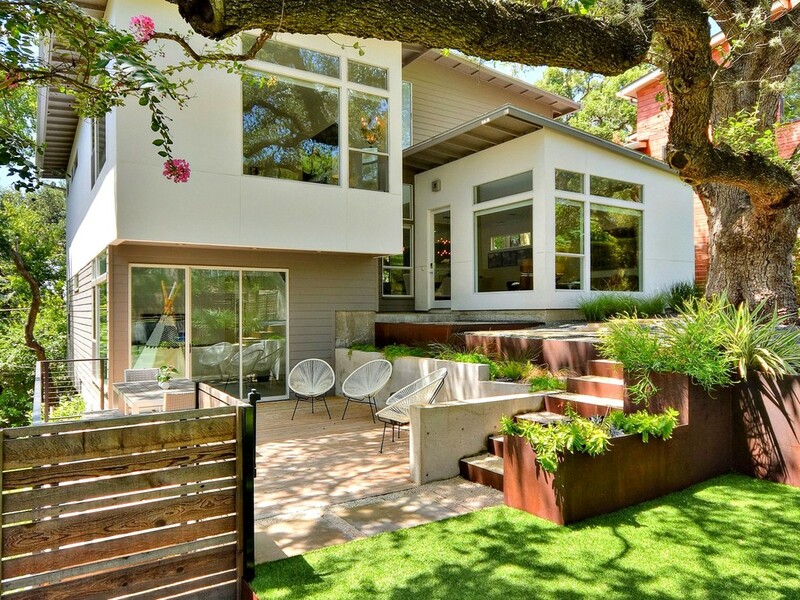 The multi-level concrete and steel planters create lots of depth and interest out front. 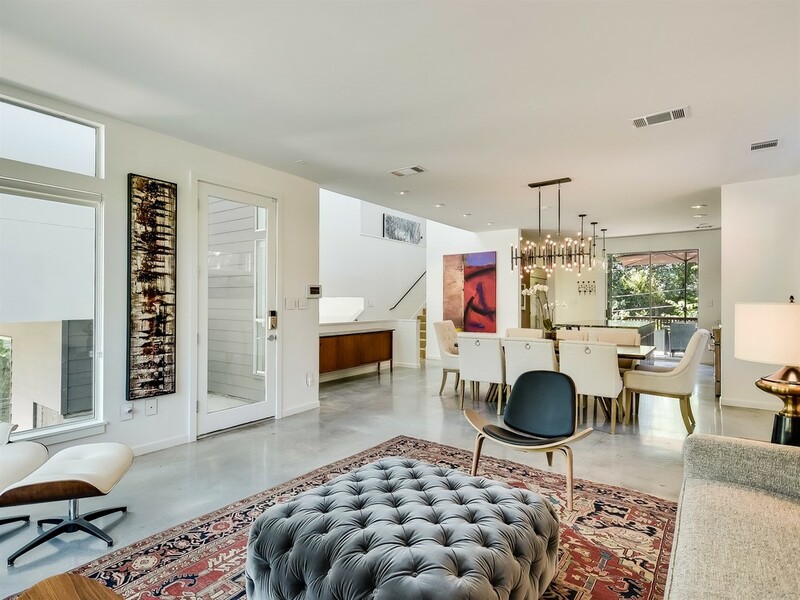 This homeowner's art collection is the perfect compliment to the clean, white interior. A dramatic Meurice Chandelier in the dining room for the perfect modern punch. Wood tones warm up the concrete and white finishes. Clean lines and gorgeous materials complete this compact, yet high performance kitchen. The gem of this kitchen is the Black Jasper counter top. View from the stairwell looking down on the entry level. Lots of angles and clean lines with minimal trim give this home it's modern vibe. This cozy room is a family favorite. This awesome family room opens onto the patio and yard. Natural light pours into the master bedroom. Simple roller shades create privacy when the treetops are not enough. Check out those cork floor tiles! Our trim carpenter knows how to rock custom, adjustable closets. Contemporary fencing gives privacy to this front yard, where all the outdoor action takes place. 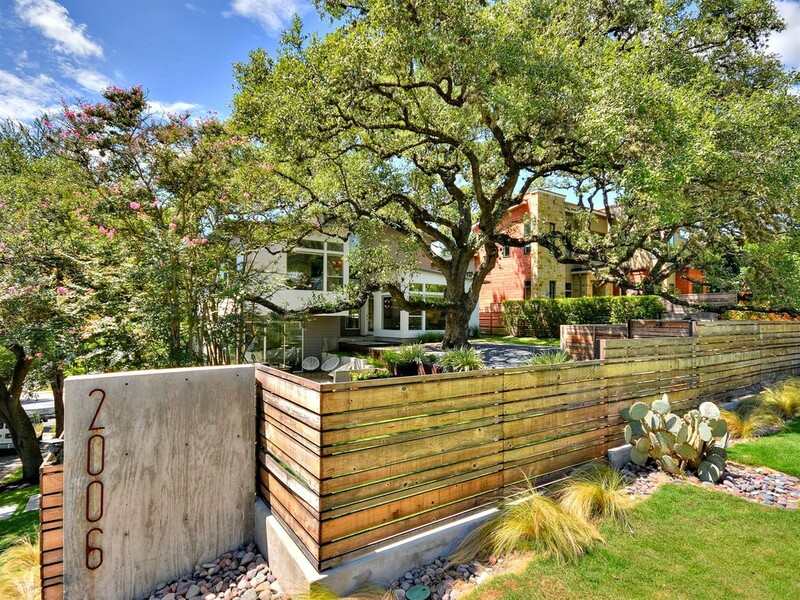 Concrete and steel retaining walls surround this gorgeous live oak tree. Rich with textures, this property has tons of curb appeal.